I am still working on the Masquerade pattern and intend to introduce some more colours before it is finished. 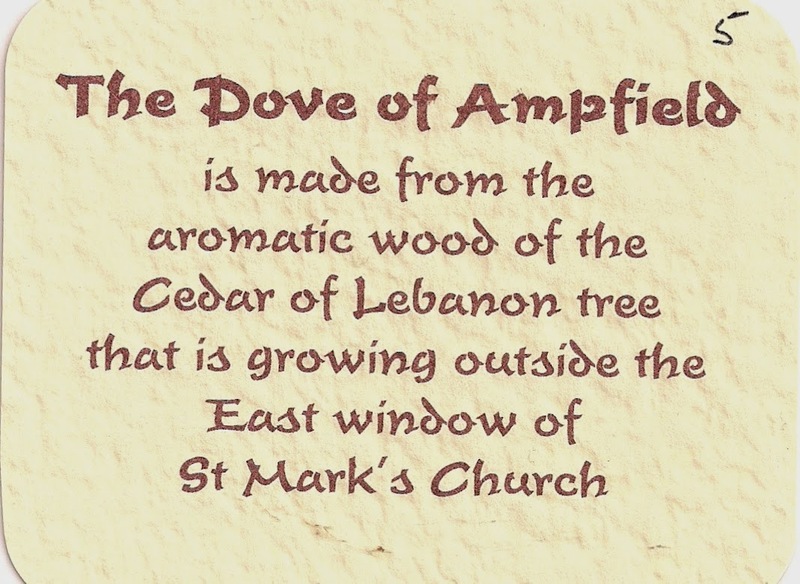 The dove that is sitting on the piece of tatting is made from wood that has come from a Lebanese Cedar tree next to a church. About 6 years ago some branches were taken down as they were hanging very near to a stained glass window and we are now making doves from this wood to sell for badly needed church funds. This is the same church that has the door handle you very cleverly dated for me. 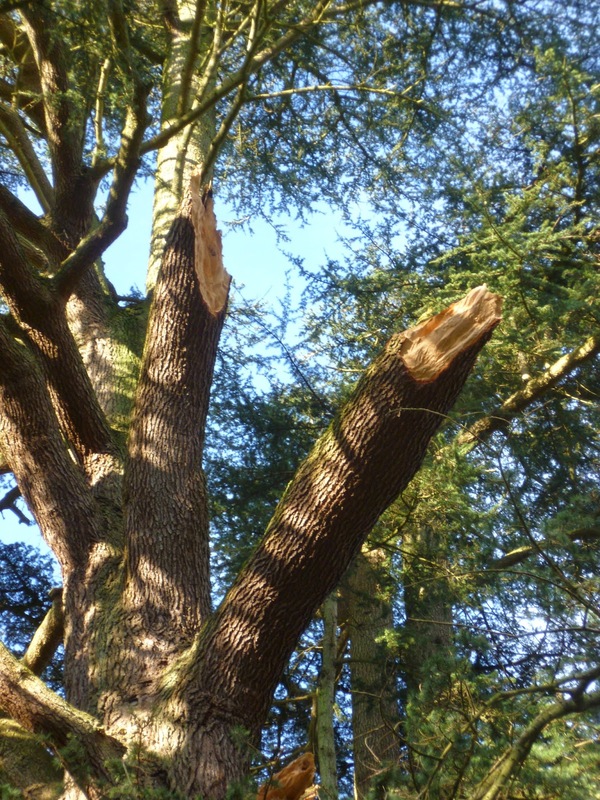 The reason that funds are needed is because one night very recently there was a storm and two huge branches came crashing down taking with them some more trees and as they fell to the ground they damaged grave stones. There must have been such a noise when this happened but thankfully no one was around. Fortunately it missed the church and the beautiful stained glass window but has caused massive damage which will cost a lot to repair. This cedar tree has stood in this spot for many years and was there when the Rev Awdry, author of the Thomas the Tank Engine books was born in the village and he probably used to play around this tree. We have managed to collect some wood and it is seasoning at the moment and hopefully in about a years time it will be turned into more doves and of course shuttles. That is what they are calling this particular day in the UK as it marks the 750th anniversary of the first elected English parliament. The word 'democracy' originates from Ancient Greek and means 'power of the people'. In 1265 Simon De Montfort gathered together representatives from towns and cities around the country and laid the foundations for our political system. The institution he created has changed markedly over the years but we have become accustomed to the idea that we can elect our representatives, voice our opinions, and exert our will through the parliamentary system. We should indeed be thankful that we live in a country where this happens. However, as the General Election approaches in less that four months time the thought of endless political broadcasts can, at times, dampen our enthusiasm for the system! A 'Tatting Day' sounds so much more fun than a 'Democracy Day' though doesn't it!? One of the things I have managed to do today is start sewing this tatting braid on a bag I am making, it seems to just finishes it off nicely. I bought the material for this bag when out with Jane last year and really pleased that I have actually managed to put it to good use. A picture of a handle on a church door, can anyone work out the year in Roman Numerals? It is a lot newer than 1265. After noticing that Jane had started to tat Mary Konior's Masquerade I decided it was worth trying as it looked so effective. The pattern certainly stands up to its name because as you join the squares together it seems to turn into something else. 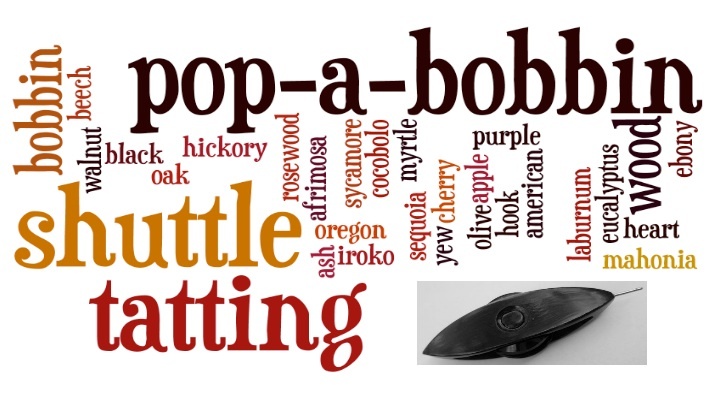 Amazingly it disguises the original design and you notice other shapes appear. I have now joined six squares and plan to continue until there is a reasonable size mat. I am using a ball of DMC 30 because I have quite a lot of it but I am aware that this particular mat will not grow that quickly! I really enjoy tatting with buttons so of course in my element with this one, thank you Jane. Later on today I am off to a 'Pie and Punch' evening at a very grand house to celebrate Epiphany or the coming of the Wise Men to visit the Christ child. I am taking with me some Frankincense from Arabia and Myrrh from Oman and leaving the host to provide the gold in the form of chocolate coins! 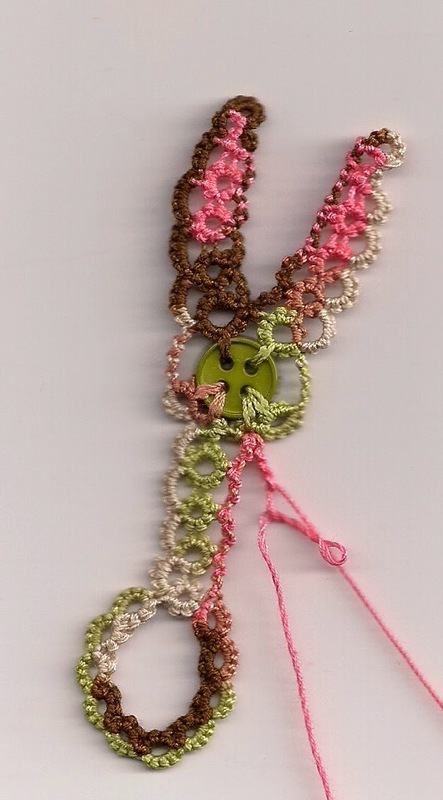 I have made another flower chain necklace from Marilee's Beaded Tatting Finery book and I might wear it tonight. 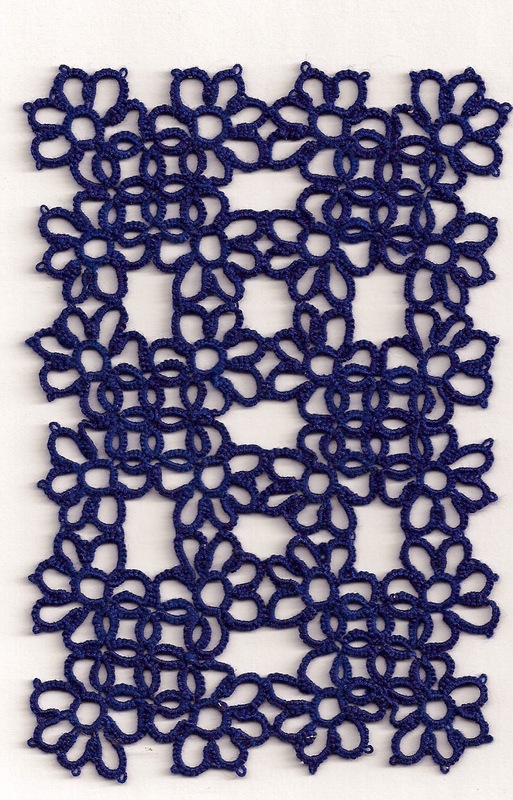 This Christmas I received a card from someone who admires my tatting it was especially chosen for me because of the design on it. 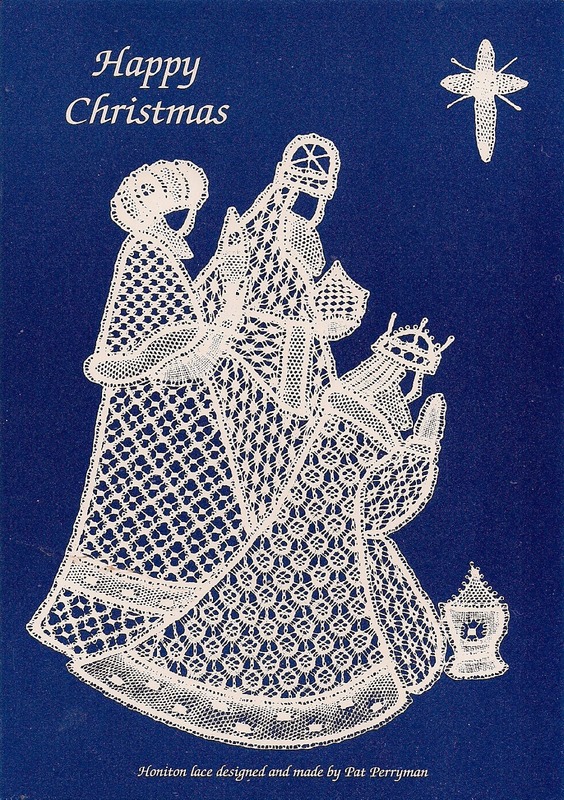 It is a picture of Honiton Lace designed and made by Pat Ferryman, I was really thrilled with the card and I am going to keep it and not re-cycle!